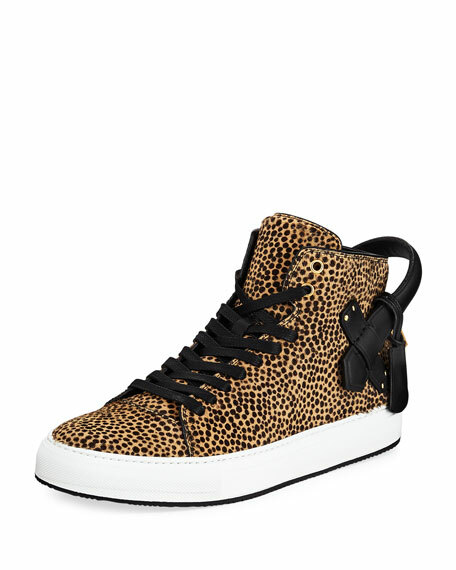 Buscemi high-top sneaker in leopard-print dyed calf hair (Italy) with leather handle. Amiri slip-on canvas sneakers with leather trim and bones design. 1" flat heel. Round toe. Stretch insets at notched vamp. 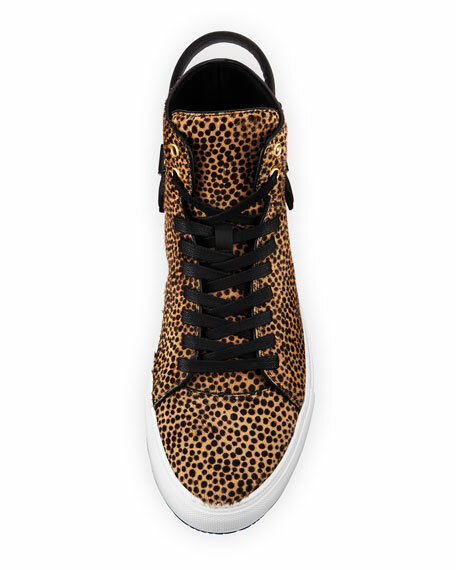 Amiri slip-on canvas sneakers with leather trim and bones design. 1" flat heel. Round toe. Stretch insets at notched vamp. Embossed logo at heel counter. Smooth footbed. Rubber outsole. Made in Spain. 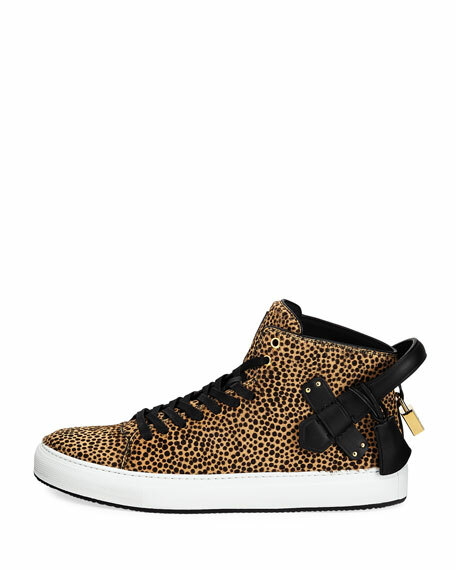 Buscemi pebbled calfskin leather sneaker with golden hardware. 1.8" flat platform heel. Lace-up front. Ankle strap with 18K gold plated brass padlock/turn-lock closure. Oversized pull loop with key and pocket accent. Round toe. Tonal topstitching. Leather lining and insole. Rubber outsole. Made in Italy.